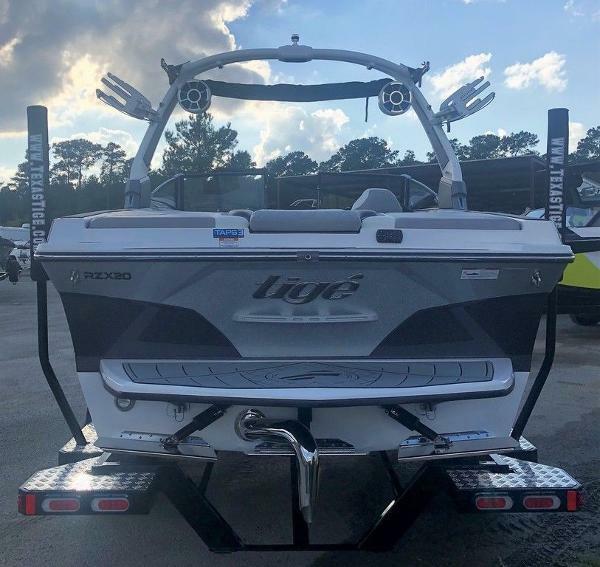 You won't find a bigger 20 footer in this type of boat. 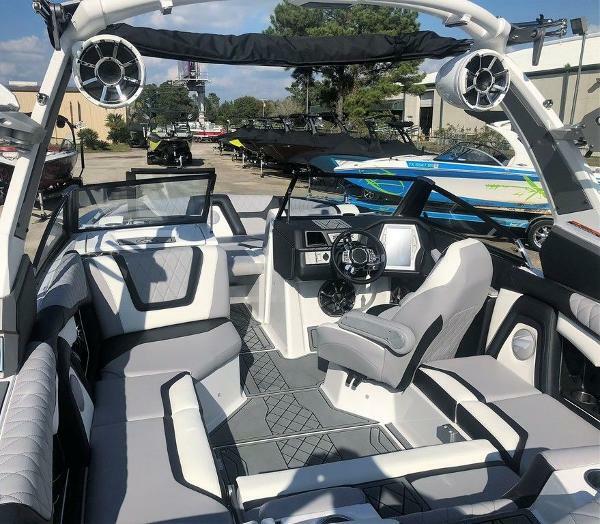 It runs with the big boys, puts up fabulous surf wake and plenty of room for all your friends. 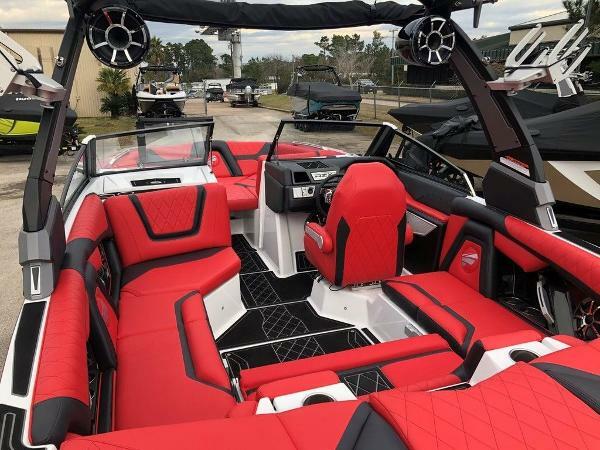 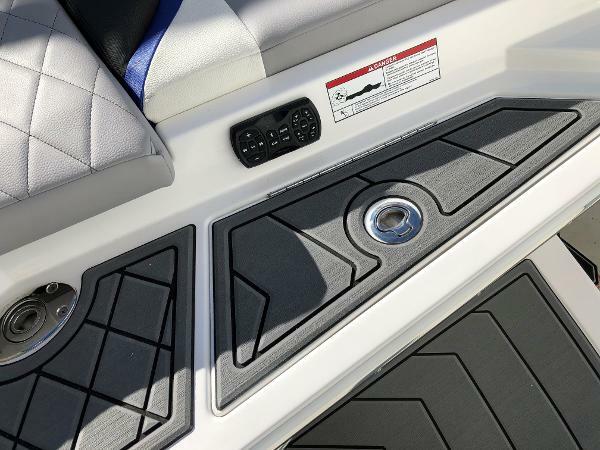 You can save thousands on your wake boat, while getting all the desirable options to optimize performance and convenience. 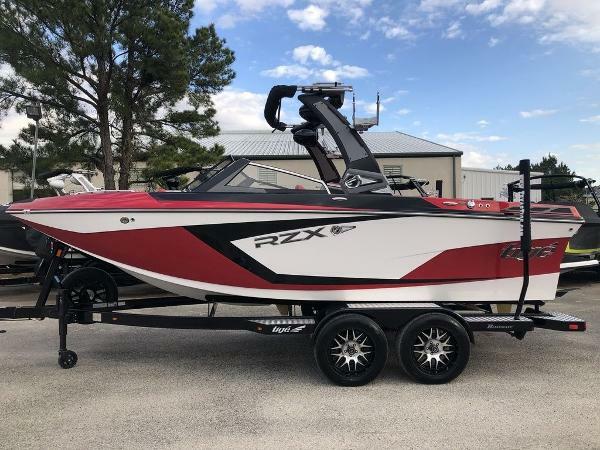 Confidence comes from many factors, but it comes alive in the RZX20. 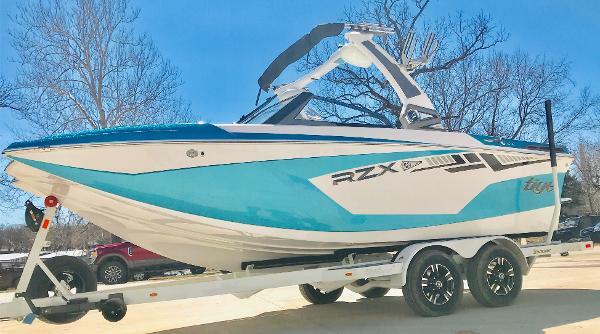 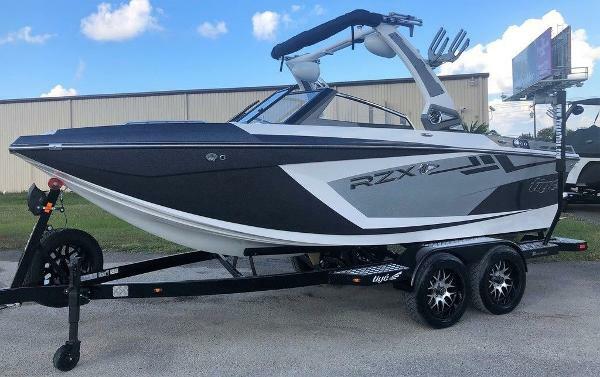 Sleek yet spacious styling, the RZX20 boasts the deepest freeboard, the widest beam and more storage than any boat in the 20 foot segment. 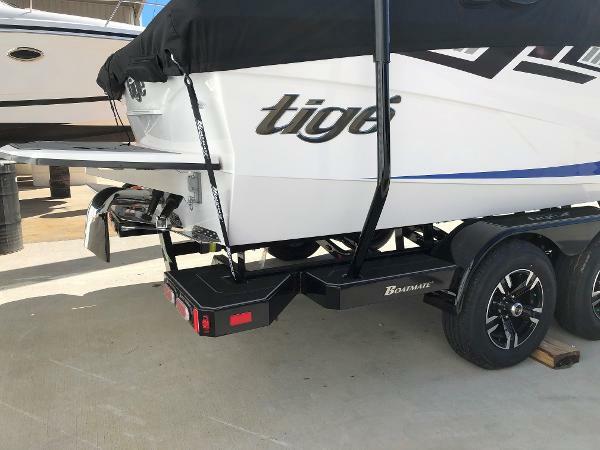 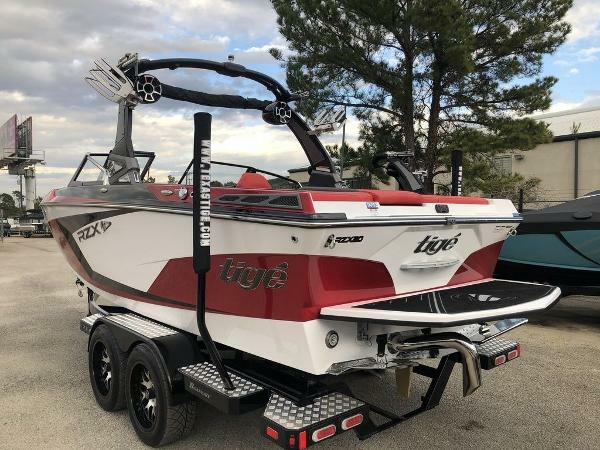 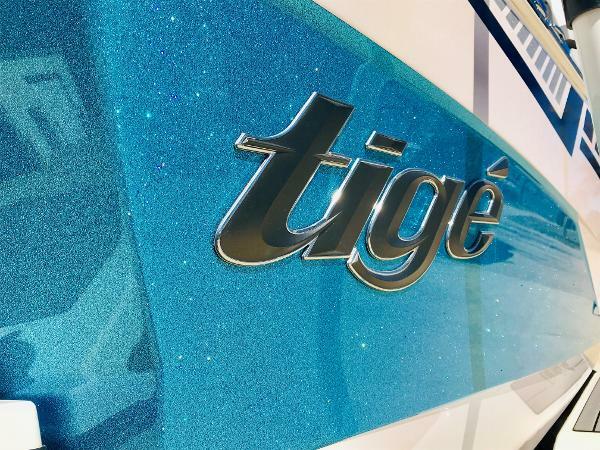 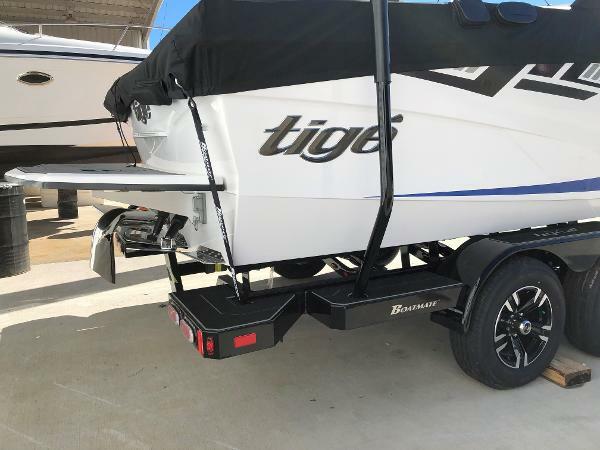 It's big on style even in its smallest details, staying true to Tige design. 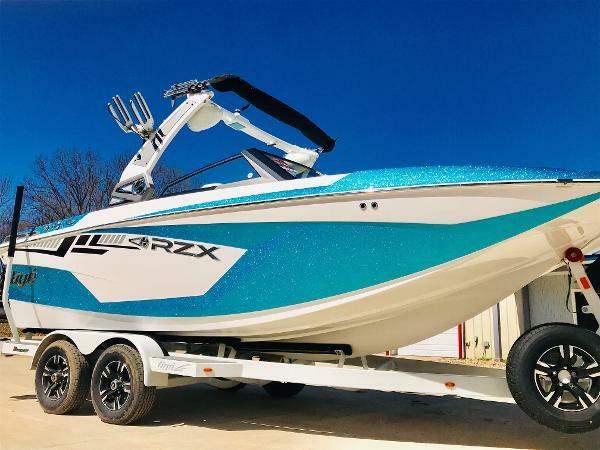 Combine space and performance with the largest and most intuitive touch screen, the standard Electric Power Tower, ultimate versatility with TAPS 3 and intelligent Smart Wheel controls, the RZX20 is ready to ride right off the line.